Mikey Pauker (pronounced pow-ker) is a folk/world artist from Berkeley, California. His new album, ASCENSION, is an invitation to listen to the call of our inner wilderness and to greet our darkness with understanding and an open heart. It was recorded in raw, live instrumental sessions — a departure from Mikey’s more electronic past recordings — under the guidance of Grammy-nominated producer Warren Huart (The Fray, Trevor Hall, Matisyahu). With songs like “Say Yes” and “I AM”, listeners are elevated with catchy melodic hooks and reggae/rock beats. The “RISE Vulnerable Rally” music video swept the world touching the hearts of over 1 million viewers this past year. Growing up in Orange County, Mikey’s early experiences at underground shows exposed him to the intense, primal energy of live music, as well as the strong community bonds that form in an authentic and close-knit scene. Inspired by teachers who blend yoga and mystical practices he went to study in Jerusalem, soaking up the hidden teachings of his ancestral lineage. These spiritual dimensions guided his artistic development as he explored ecstatic music festivals and mystical religious traditions. His music implores us all to look within, sit with our darkness, and transform it into light. 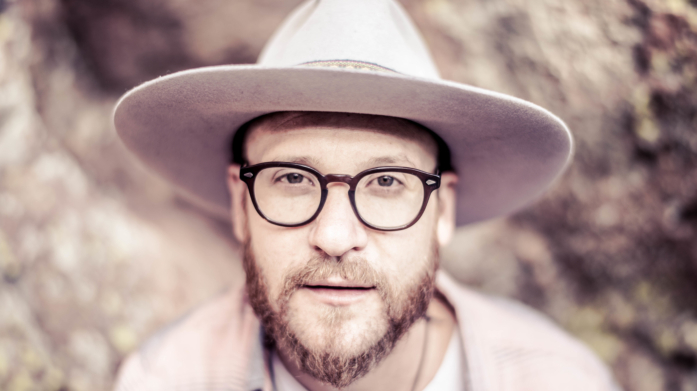 Mikey’s sound blends elements of folk, reggae, and hip-hop, incorporating English and Hebrew roots into his devotional songwriting. Mikey’s music draws from influences such as early Bob Marley, Van Morrison, and The Police, and listeners will immediately identify his style to the likes of Michael Franti, Trevor Hall and artists such as Mike Love and Stick Figure. This past year Mikey has supported Rebelution, Stephen Marley, Matisyahu, Dovavon Frankenreiter, The Polish Ambassador, Mike Love, and Stop Light Observations. Notable performance highlights include Red Rocks, Suwanne Hullaween, Electric Forest, Beloved, Bhakti Fest, Enchanted Forest, and Chant 4 Change on the steps of the Lincoln Memorial. Mikey has been featured in TIME magazine as one of the 10 Stars of The New Jewish Music. He is also the music director of the center of earth-based judaism: Wilderness Torah.